“I think of my sculptures as suspended animations, lying at rest, waiting for a passing breeze to bring them to life.” Now living and working in Bath, Edward has a degree in philosophy from Bristol University and in his kinetic sculptures he explores ideas of fragility and strength as well as balance and resolution. Drawing inspiration from the natural world and the human figure, his work is often suggestive of botanical or skeletal structures. 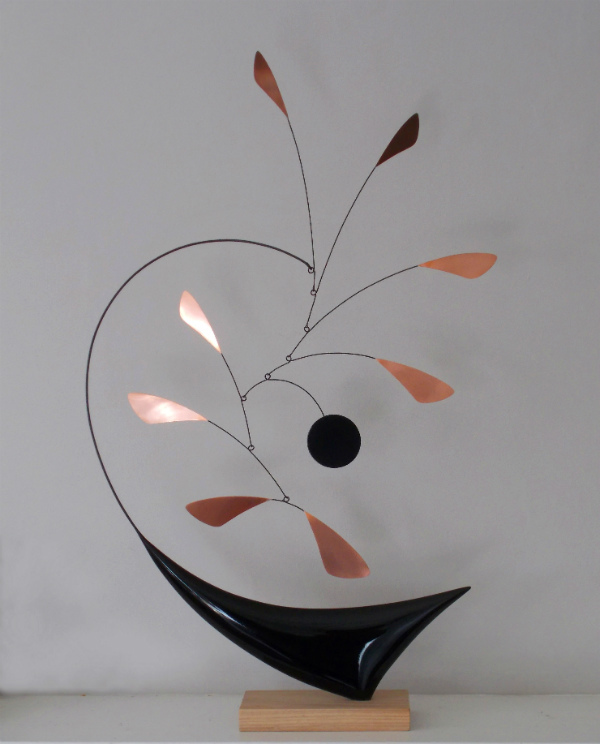 The elegant, fluid forms express a sense of harmony and rhythmic energy, coupled with a feeling of tranquil equilibrium.